The idea that African-Americans have a lower risk of developing MS is a misconception. In fact, more recent studies suggest that African-American women (not men) have a higher risk of developing MS, and experts are not sure why. In a 2013 study in Neurology, 496 people were studied with MS. Of those people, 37.5 percent were Caucasian and 10.4 percent were African-American. The study found that African-Americans had a 47 percent increased risk of having MS, as compared to Caucasians—but this higher risk was only found in women, not men. Overall, the study did not find that African-Americans had a lower risk of MS than Caucasians. The study also found that Hispanic individuals had a 50 percent lower risk as compared to Caucasian individuals, and Asian individuals had an 80 percent lower risk. (This was found in both men and women). Time to Diagnosis: The groups differed in how long it took to get diagnosed after they started experiencing MS symptoms. The African-American participants were diagnosed about a year after symptom onset, while the Caucasian participants were diagnosed two years after their symptoms started. One theory proposed in the study is that the African-American participants experienced more severe symptoms, which led to a quicker diagnosis. Start Treatment Faster: African-Americans started treatment with a disease-modifying therapy an average about 6 years after the onset of symptoms, compared to 8 years elapsing between the start of symptoms and initiation of treatment in the Caucasian group. 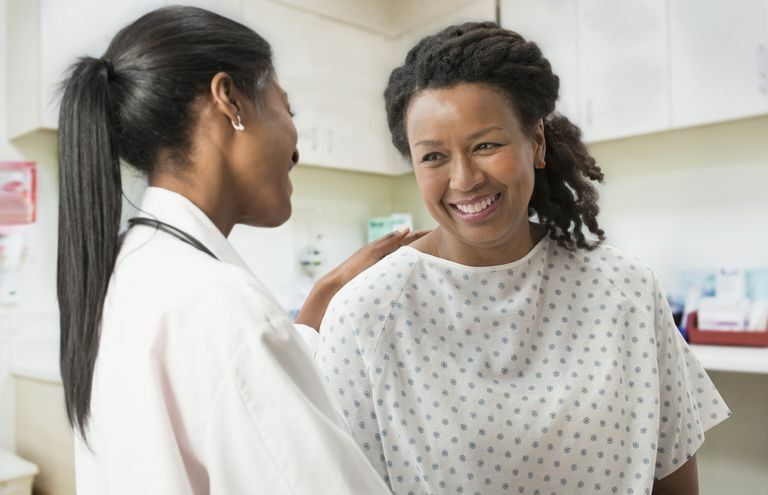 Much like being diagnosed more quickly after symptom onset, it was hypothesized that perhaps the African-American participants were experiencing more severe or disabling symptoms and this led to their physicians recommending treatment earlier. Mobility Differences: From this study, it appeared that African Americans were somewhat more likely to develop mobility problems than Caucasians. There was a 1.67-fold greater risk that African-American participants would eventually need a cane to walk. This also happened about 6 years earlier in the African-American group than in the Caucasian group (after 16 years vs 22 years). Developing SPMS: African-American participants also progressed from relapsing-remitting MS to secondary-progressive MS about three years more quickly than the Caucasian participants (18 years vs. 22 years). The bottom line here is that MS occurs in the vast majority of ethnic groups including African-Americans, Caucasians, and Hispanics. That being said, there are distinctions among the groups, like their risk of developing the disease and disease course. Recent research now reveals that African-American women have a higher chance of developing MS (compared to Caucasians) than what was previously suggested. The reasons behind this are not totally clear. It could be a combination of hormones, genetics, and/or environmental factors like smoking, obesity, or vitamin D deficiency. As research continues to evolve, understanding racial differences in MS will hopefully bring us closer to understanding the cause(s) of MS.
Edited by Dr. Colleen Doherty, September 2016. Cree BA et al. Clinical characteristics of African Americans vs Caucasian Americans with multiple sclerosis. Neurology. 2004 Dec 14;63(11):2039-45. Langer-Gould A, Brara SM, Beaber BE, Zhang JL. Incidence of multiple sclerosis in multiple racial and ethnic groups. Neurology. 2013 May 7;80(19):1734-9. National MS Society. Who Gets MS?